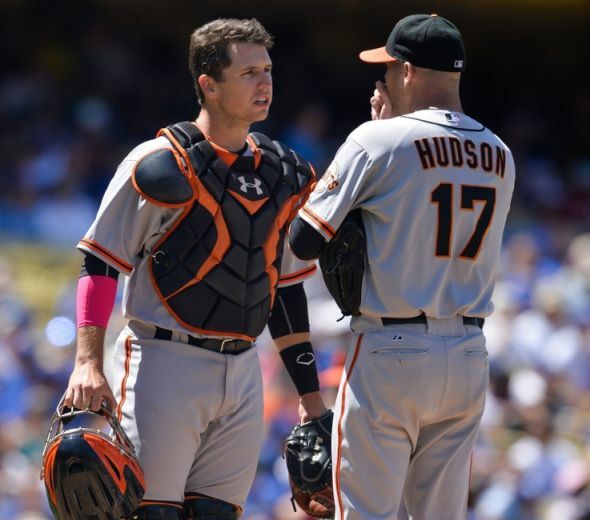 The San Francisco Giants have the best record in MLB at 35-19, and they’ve had an incredible start to their 2014 season. The initial National League ballot figures were released on Wednesday, and the Giants had seven players near the top of the voting for their respective positions. Buster Posey is second at catcher, Brandon Crawford is second at shortstop, Brandon Belt is fourth at first base, Pablo Sandoval is fifth at third base, and Angel Pagan, Michael Morse, and Hunter Pence are eighth, ninth, and 10th for outfielders. Read the full story at Golden Gate Sports. ← San Francisco Giants: Should They Pursue Jeff Samardzija? I’ve joined your rss feed and look forward to in the hunt for more of your wonderful post. Pretty nice post. I just stumbled upon your weblog and wanted to say that I have truly enjoyed surfing around your blog posts. I use WordPress, and I love it! Hi there to all, as I am genuinely eager of reading this web site’s post to be updated daily. subscribe to it. Is there anyone else getting the same RSS problems? I use WordPress. Thanks for your comment! and I would like to find something more risk-free. Do you have any recommendations? topic. I must spend a while finding out much more or understanding more.